Mainstream media sources around the world picked up the story earlier this week that China’s economic planning agency was considering a ban on Bitcoin mining. With cheap electricity making Bitcoin mining highly profitable, China has long been considered the capital of global cryptocurrency mining, even as its government cracked down on related ventures such as Initial Coin Offerings (ICOs) and cryptocurrency trading. The latest development in China’s complex relationship with cryptocurrency comes at a time when other East Asian countries seem to be moving in the opposite direction. Japan has been taking steps to regulate and legitimize cryptocurrency trading in the country, with its Financial Services Agency (FSA) approving multiple new exchanges. Rakuten, one of Japan’s largest ecommerce firms, issued a press release on March 29 that announced plans to launch a cryptocurrency exchange by June of this year. Yahoo! Japan has also received regulatory approval for its own exchange, which it plans to launch in May. Quoine’s Liquid exchange attained official unicorn status during a Series C fund raising round completed earlier this month, with the $9 million raised valuing it at over $1 billion. Similar movement toward greater government legitimization of cryptocurrency may also be on the agenda in Korea. The Korea Herald reported last week that representatives from both the ruling Democratic Party and main opposition Liberty Korea Party have been calling on President Moon Jae-In to relax the country’s cryptocurrency regulations. South Korea was perhaps the country most stricken by ‘crypto fever’ during the 2017 bull run, with more than 30% of employed workers engaging in cryptocurrency trading. Like China, South Korea outlawed ICOs during the latter half of 2017 and also put in place measures to more closely control the activities of cryptocurrency exchanges. Taiwan is another East Asian country where regulators are cautiously moving toward greater support for cryptocurrency. Last week, The Taipei Times reported that Taiwan’s Financial Supervisory Commission (FSC) aims to introduce legislation by June that would allow companies to raise close to $1 million through the issuance of Security Token Offerings (STOs). Even the government of North Korea has attracted headlines recently for its interest in cryptocurrency, with Nikkei Asian Review reporting last month that a U.N. Security Council investigation found the international pariah state had circumvented sanctions by stealing $670 million in “foreign and digital currencies” between 2015 and 2018. The recent spate of government activity across East Asia is a reminder that the region’s technologically advanced countries are on the frontlines of blockchain adoption and development. So what does the current situation in each of these countries suggest for cryptocurrency’s future? Tempering the mass media coverage supposing China’s apparent intention to “ban” cryptocurrency trading, Coin Desk reports that news of Chinese Bitcoin mining’s death might be greatly exaggerated. It is true that a report filed by the high-ranking National Development and Reform Commission (NDRC) has classified cryptocurrency mining among hundreds of industries that should be considered undesirable and eliminated. However, this doesn’t mean that a total ban is forthcoming, nor does it even mean one is likely. Instead, the NDRC’s reports are to be taken as guidelines for local authorities to consider when allocating funds to different enterprises. The report isn’t a piece of legislation, in contrast to the act by the Chinese central bank that explicitly and totally outlawed ICOs in 2017. Coin Desk’s articles goes on to give examples of past industries which were categorized as “to be eliminated” that survived long after receiving this designation. But even if descriptions of a forthcoming mining ban are exaggerated, it still shows clear antipathy toward the practice of cryptocurrency mining within China’s corridors of power. China’s relationship with cryptocurrency has long been complex – it has produced some of the most significant and innovative entities in cryptocurrency, and continues to be a major incubator of crypto and blockchain innovation. As we explained in an in-depth piece on Binance’s development a few months ago, the world’s largest cryptocurrency exchange is arguably China’s biggest crypto success story. A few months before the 2017 ICO ban, Binance was able to raise $15 million through a July 2017 ICO of its BNB token. Within six months of launch, Binance was posting quarterly profits above $200 million. Along the way, it first established itself as China’s leading crypto exchange, before banning all Chinese IP addresses and moving beyond the country’s borders as authorities introduced legislation to restrict cryptocurrency trading. Other major players in cryptocurrency began in China before moving further afield. TRON was developed by Raybo, a Beijing-based company that TRON’s website calls China’s first blockchain company. International investment poured into Raybo soon after its 2014 founding, and the TRON Foundation was then established in Singapore in 2017. TRON now has offices across the world but still maintains a Beijing headquarters. Much of its lead development staff is China-based, with many having previously worked for large Chinese tech companies such as Baidu, Tencent, and Alibaba. NEO and Ontology similarly evolved out of China and have spread to other countries, with NEO announcing plans for a Global Development office in Seattle in February. From top 100 projects like VeChain, Qtum , and Elastos to lesser-known projects like Matrix.AI Network and CPChain, China has arguably been the birthplace of more significant cryptocurrency and blockchain projects than any other country. And even China’s cryptocurrency miners have spread to other nations, with CCN reporting Iranian border officials have seized 40,000 mining rigs from Chinese miners looking to take advantage of the country’s even cheaper electricity. It might seem strange then that the Chinese authorities are seemingly so opposed to an industry that China is leading the world in. During the ICO craze of 2017, token offerings were virtually a license to print money. 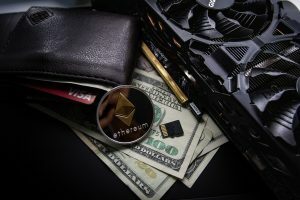 And a well-publicized report from Statis Group in 2018 claimed that upwards of 80% of Ethereum-based ICOs were scams. Ordinary investors in China were duped by many such scams, such as one for a token called Pu’er that raised $47 million from 3,000 individual investors. Cryptocurrency is similarly regarded as a social problem, and not just because of the enormous amounts of energy it uses. Back in November 2018, mainstream news outlets publicized the news that a Chinese headmaster had been fired for using the school’s resources to power an illicit cryptocurrency mining operation. But despite the government desire to block Chinese participation in mining and token sales, there is an enormous appetite for cryptocurrency in China. After Bitcoin’s recent rise above $5,000, #bitcoin topped the trending terms on Chinese search engine Baidu. And the country is an undoubted hub for blockchain start-ups, though regulation that went into effect in February allows the government far more oversight of their activities. In their article on the recent classification of Bitcoin mining as an undesirable practice, Coin Desk quotes Alex Ao of cryptocurrency mining equipment manufacturer Innosilicon as explaining that many of the regions known as mining hubs actually produce an excess of electricity that would be going to waste were into funneled into crypto mining operations. While the environmental impact may be factor in the new anti-mining stance, it’s likely not the main one. There are two major effects of decentralized blockchain networks that many suggest are strongly opposed by Chinese authorities: creating borderless currency, and creating an uncensorable internet. Reuters reported in November that China was increasing measures aimed to prevent capital outflows from the country during an escalation in the US-Sino trade war. This was the latest in many attempts China has made to limit the money leaving the country, with Reuters explaining that China had seen a high level of capital flight followed market instability between 2015 and 2016. The original concept of Bitcoin was to create a currency without borders, beyond the control of any central bank – the exact opposite of China’s aim in restricting the amount of currency flowing outside of its borders. And many cryptocurrency projects have been explicit in creating a decentralized alternative to the internet, including Chinese blockchain heavyweights TRON. Creating a decentralized alternative to centralized platforms like YouTube was given as part of the rational behind the launch of TRON’s BitTorrent token earlier this year. China’s internet is famously locked behind “the Great Firewall,” which makes it impossible to access services including the Google Play Store and Facebook without using a VPN. It seems then cryptocurrency and blockchain technology in general has been built with a guiding philosophy that is antithetical to some of the Chinese authorities core aims. It makes sense that the government are keen to keep the development and spread of these technologies on as tight a leash as possible. Japan seems to be moving more explicitly in the opposite direction to China than any other East Asian country. Recent moves to grant licenses to fully-regulated exchanges in the country follow years in which Japan has been a major hub of such activities. The once-dominant Mt. Gox crypto exchanged was based in Tokyo until it collapsed following the infamous theft of 850,000 bitcoins in 2014. Another large-scale hack hit another Japanese exchange just last year, when 500 million NEM tokens were stolen from Coincheck, giving the hack a dollar value of $530 million – close to $100 million more than the value of bitcoins stolen from Mt. Gox. Japan was Binance’s first choice of new headquarters when it left China following a clampdown on cryptocurrency exchanges. But Binance’s stay in Tokyo was short-lived, as the FSA warned it in March 2018 to cease trading cryptocurrencies in the country without an appropriate license. Just over a year later, it seems that the regulatory environment in Japan has warmed up to cryptocurrency considerably. In an interview conducted with Reuters last August, FSA Commissioner Toshihide Endo explained that Japanese regulators are seeking to allow cryptocurrency to “grow under appropriate regulation.” Japan is a world-leader in this regard, being the first country to formally regulate cryptocurrency exchanges. This has been accompanied by a raft of news suggesting growing mainstream acceptance of cryptocurrency in Japan. SBI Holdings has made its use of Ripple’s XRP cryptocurrency to facilitate overseas payments a key part of its plans for global expansion. SBI also spearheaded an initiative in 2017 to push Japan toward using cryptocurrency as part of a move away from being a predominantly cash-based society, introducing S Coin to link card payments with digital currencies and a mobile app. Major electronics retailer Bic Camera offers a 10% discount for all Bitcoin payments. It has also been reported by mainstream Japanese media that Japan Railways is planning on allowing cryptocurrency to be used to facilitate payments for travel on its network, and may even join the current exchange-launching craze in partnership with a Japanese bank. Roger Ver recently wrote on Twitter that Bitcoin Cash is being more widely accepted as a form of payment within Japan than Bitcoin. 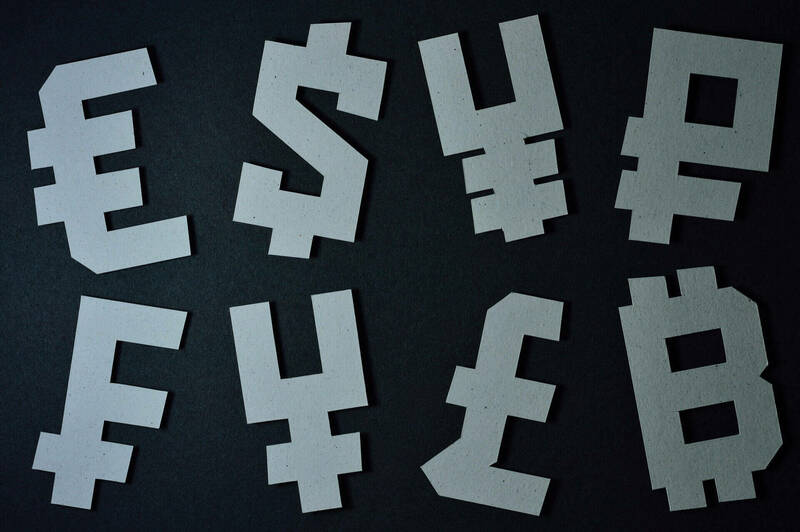 And the FSA may be moving to classify Bitcoin as something other than a ‘digital currency,’ after a recent meeting in which Professor Iwashita Goto of Kyoto University told FSA officials that such a term was inaccurate. While it hasn’t seen hacks on the scale of Mt. Gox and Coincheck, South Korea has had its own issues relating to cryptocurrency exchanges. An explosion of interest in cryptocurrency trading the 2017 bull run resulted in massively inflated prices within the country, with a so-called “Kimchi Premium” of up to 50% compared to other country’s exchanges. This led to CoinMarketCap making a sudden decision to exclude Korean exchanges from its aggregated cryptocurrency rankings, sparking market panic and contributing to the beginning of the bear market in January 2018. Tax authorities raided the offices of two high-profile Korean exchanges soon after, while several others were then accused by Korean prosecutors of illicitly using user’s funds and artificially inflating their trading volume. As in China, cryptocurrency’s sudden rise in popularity was met with regulator backlash, including a ban on ICOs and anonymous trading. The appetite for cryptocurrency trading is still strong in Korea, with mainstream local newspaper The Chosun Ilbo reporting that the Bitthumb exchange saw sales increase by 17% year-on-year in 2018. However, the rise in sales was accompanied by a drop in profitably, which was attributed to the decline in cryptocurrency prices over the course of the year’s bear market. As with both China and Japan, Korea has been a hotbed of blockchain start-ups. Many of its largest companies have also been getting involved in the industry. Much speculation surrounded the integration of a cryptocurrency wallet into Samsung’s latest S10 handset. Bloomberg reported last month that Kakao, a firm which rose to prominence on the back of a messaging app installed on 93% of South Korean’s phones, raised $90 million in a private crowdfunding round for its Ground X blockchain subsidiary. Ground X aims to bring mobile DApps into mainstream use in South Korea. Korea’s FFN News reported last month that Kakao is also planning to integrate a cryptocurrency wallet into its Kakao Talk app. ICON is the Korea-based cryptocurrency project to have attracted most attention from cryptocurrency traders. As we reported in February, ICON has built up a huge web of partnerships that spans many commercial and governmental applications within the country and is also looking to expand beyond its borders. Another project to watch is MovieBlock, a blockchain-based content distribution network being developed by Ontology and Pandora.tv. Ontology is a for-profit blockchain solutions company created by many of the same team as NEO, and which is currently frequently swapping places with its sister project on cryptocurrency market cap rankings, while Pandora.tv is a Korean video streaming platform that owns the highly-popular KMPlayer multimedia player freeware. We reported back in September on a similar partnership Ontology had made with a Korean start-up to develop a music streaming platform, Muzika. Korea may be on the cusp of an even bigger boom in blockchain start-ups, as Seoul Mayor Park Won-soon plans to spend $100 million on a five-year plan to move many public services onto the blockchain in attempts to turn Seoul into a blockchain-powered ‘smart city.’ The mayor is also looking to create two start-up hubs in the city that will house up to 200 blockchain start-ups. There will be an additional $50 million allocated to establishing these start-ups, with an expected completion date of 2021. Other cities may follow Seoul’s lead, with representatives of the Korean Blockchain Enterprise Promotion Association petitioning the mayor of the south-western city of Gwangju to turn it into an “International Crypto-Valley District” in December. There is also hope that the highest level of government in the country will soon be more open to cryptocurrency. Just last week, Vitalik Buterin of Ethereum addressed Korean lawmakers and urged them to remove barriers to crypto adoption and developed in the country. The country’s officials may be receptive to Buterin’s message, as Beincrypto reported that National Policy Committee Chairman Min Byung-doo told the recent Deconomy conference that the market has matured since the introduction of Korea’s ICO ban and that such a measure may no longer be necessary. Taiwan counts among its politicians one of the biggest crypto evangelists in mainstream politics anywhere in the world. Dubbed “the crypto congressman” by Vitalik Buterin, Jason Hsu invited the Ethereum creator to help support the development of blockchain in Taiwan immediately following China’s ICO ban in September 2017. Hsu showed his enormous enthusiasm for cryptocurrency and blockchain technology in an interview with Forbes a year later, which touched on topics such as reducing the dominance of the largest Bitcoin mining firms, utilizing ICOs to help poorer communities develop, and his plans to issue his own token to various global thought leaders seen as being supportive of cryptocurrency. One of those to receive Hsu’s honorary One Crypto World tokens was Seoul Mayor Park Won-soon, and Hsu explained in the interview the many opportunities for cooperation between the countries of East Asia he saw in developing their blockchain and cryptocurrency industries. Hsu also told Forbes of his plans to turn Taiwan into “a blockchain island.” Central to this is the development of a special economic zone for blockchain start-ups, which aims to house 200 such companies. Not even South Korea’s reclusive neighbor to the north is immune to the development of cryptocurrency in East Asia. While the UN investigation mentioned in the introduction to this article has uncovered cryptocurrency hacks as a major source of funds for the isolated regime, others are working to use blockchain technology to actively undermine it. As reported by South China Morning Post, the anti-regime Cheollima Civil Defense has begun selling tokenized North Korean visas which the group says will allow entry into the country “post-liberation.” The visas have been a fundraising mechanism for the group, which plans to sell 200,000 of the Ethreum-based visa tokens at a price of 1 ETH each. The shadowy group gained a lot of notoriety earlier this year after it was reported it was responsible for the break-in of North Korea’s embassy in Madrid. Fittingly given Bitcoin’s creator’s pseudonymous use of the Japanese name Satoshi Nakamoto, East Asia is the region of the world at the forefront of cryptocurrency adoption and development. With the notable exception of China, governments in the region are increasingly looking to regulate and normalize the industry now that much of the panic that accompanied its rapid growth in 2017 has died away.